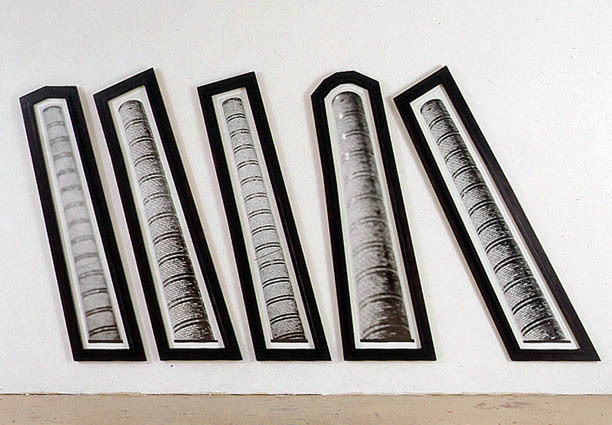 "Ras" , photo-object, 155 x 300 cm, 1990. Exhibited: "Yttre", Södertälje Konsthall 1991, Pieni Agora 1991, Art Now Gallery, Göteborg 1991, Stuart Levy Fine Arts, NYC , 1995. The Swedish word "ras" has multiple translations in English: race; breed; stock; landslide; collapse... to name a few.